Have you ever wondered the possibility of detecting a leak from a pipe that is located withinthe walls of your house? Well! It sure sounds like a daunting task. Not only does it seem like a Herculean task but it also sounds like a costly affair. There are so many problems when there is internal water leakage, especially the bad odor that spreads throughout whenever the sewer pipes crack might be the key factor in spreading several water borne diseases. You can always call your local plumber, but he would only make things much more complicated for you. The reason being he will not be able to locate the leakage area precisely. He can only guess the area and that means you will be spending a lot more money than you expect to find the leakage area. Sometimes, a lot of time and effort will be wasted when you dig a particular area and find that it is not the leakage point. This is when you will feel the need for a professional leak detector. 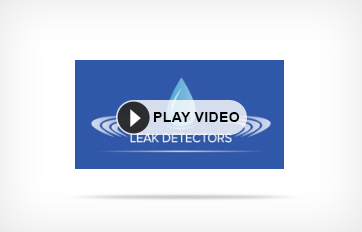 Many companies are there providing these facilities one such company is Water Leak detectors who is an expert in finding all kinds of leakages. There are several advantages when you opt for this. To begin with, professionals are well equipped with all the gadgets and instruments to locate hidden leaks accurately. They specialize in this field and so it is easy to identify the precise location in no time. Since technology is constantly evolving with the passage of time, professional leak detectors are technically up to the mark and can handle all types of complications. From water meters to pressure detectors, they have it all. Since these professionals have all the equipment, time need not be wasted in unnecessary activities like digging which used to happen in the past. Modern equipment such as ultrasound devices makes it possible to identify the leak with minimum damage to the walls or floors in your house. This prevents the possibility of destruction which is in fact a boon to the citizens of Australia. There are so many techniques involved in this process. One of the most commonly used techniques is the hydrogen gas system where hydrogen gas is allowed to pass through the pipes and the leakage is identified where the gas escapes. You can even go for thermal detection method. Here, you will be able to view the electromagnetic view of your house along with the pipelines which makes it simple to locate the exact location. Acoustic techniques are quite effective when it comes to identifying leaks in pipes. You will be able to hear the sounds from the leaking pipes and sound censors make your job easier. The closer you get to the leak the louder will be the sound. There are certain leaks that might threaten the safety of your house and during such instances; infrared leak detection has considered the best option. Since it is non-invasive, there will be minimal damage to your property. Tracer gas method is another noted technique to identify harmful leaks in industrial areas. This and many more other techniques such as Digital camera detection method make Australian leak detection a cake walk.